otherwise, it's quite average but still very enjoyable. title picture, ehh and fits together with this sound so well! Most people think Mathematica was their best effort, but then it comes to length/effect ratio, this is surely even better. There are no filler-parts, only great code here. 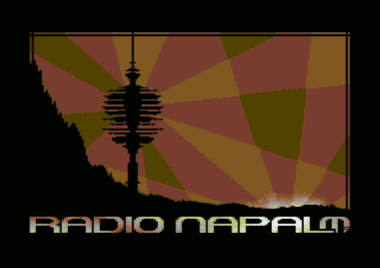 But I never liked the wannabe-techno music in never c64 demos. nice demo!, mathematica had more style/flow though...! anyway, here goes da thumb! It was was the first demo i've seen in my life. Since this time I have seen many other demos on many other platforms, but I still think today, it is also one of the best demos i've ever seen. How didn't I voted/wrote a comment for this before? Great music and some effects are really cool! There are no filler-parts, only great code here. awesome music, perfect timing, amazing effects ... well what do you want more? was nice seeing it at x95 party. very nice demo to see live. I still have the specially designed disk cover it came with. I regret! they all rule!!! I love the waves! sorry I am drunk. and hate spaceships. thats why "some DONT"
Totally dislike the music but everything else is very cool. One of my favourite demos ever. rulez added on the 2010-10-27 19:06:16 by w00t! I love it how some parts still stand up to this day. one of the best c64 demo with amazing track ! short and sweet! great music! Hot 11 years ago, still hot now! GREAT, great demo. Listened to the music for a longer time after. that is some great stuff!! what is this huge complex vector thing in the beginning? I guess it must be some sort of colour trick? Im sure its not real complex vector with sorting etc ;p Never seen such a thing on a c64 again. What is it? page created in 0.019728 seconds with 15 queries.